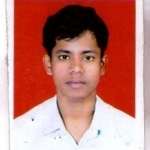 Dinesh Kumar Muduli from Bhubaneswar, B.Sc Graduate. SAP BIOMETRICS IMPLEMENT.. HR ADMIN COMMUNIATION SKILLS .. SKILL ..
are one of expert skill area's of Dinesh Kumar Muduli . Dinesh Kumar Muduli is working in Human Resources industry.